CRN meeting in the Bayview. The United States Department of Justice, Office of Juvenile Justice and Delinquency Prevention has failed in its mission objective all over the United States to prevent incarceration, death, and help youth. It should not come as a surprise to those well versed with matters linked to incarceration of our youth that it is a billion dollar business. When will we in light of so many people of color being incarcerated define Justice and realize what so called justice is doing to million of young men. If they do not die in the cells they die on the streets and one has but to analyze the situation and realize who is behind this well designed plan. When Congressperson Nancy Pelosi and Kamala Harris join hands with funds from the above mentioned agency to try to address crime and violence in the Bayview Hunters Point their fake attempt is so far fetched and so further from the truth - it would be easier to believe the ability of a frog to turn into Prince Charming. How many of our youth have died and how many continue to die weekly? If this was the case in any White Neighborhood - Pacific Heights, the Marina there would be a hue and cry. In order to first understand how these so called leaders think one has to check into some concrete facts. Congressperson Nancy Pelosi has always been for herself and has done no justice what so ever to the Bayview Hunters Point in all the time she has represented the district. Nancy has no clue as to what is happening and should feel ashamed of herself as the Minority Leader and a Leader in the Democratic Party permitting so many young people mostly of color to die at a young age. Nancy Pelosi should be ashamed of her and should have at least a couple of times spoken about the crime and violence situation at hand. Instead Nancy Pelosi wants to pretend that she is doing something about the situation using tax payers' money to address a chronic situation with no concrete plan and less qualified personnel to gather the facts and put a good lasting plan in place. This cannot be a short term plan but a very long term plan that cries to heaven to stop the killing and respect life. It demands a holistic plan with time lines, goals, and good community objectives. If there is no accountability and transparency nothing much will happen. I have known Nancy Pelosi since my days at the Presidio of San Francisco. This woman can look at you straight in the eyes and lie. The same with Kamala Harris who once serviced the needs of Mayor Willie L. Brown Jr. and still thinks she can manage the District Attorney Office as easily as she appears on the Phil Matier Talk Show and makes small talk with long prolonged giggles. Recently we saw the ouster from real politics of Joe Lieberman ­ it is time to do the same to Nancy Pelosi. For too long has she fooled, too many innocent people and the time has come to kick her out of office. For sure she does not represent the constituents that most need her help. 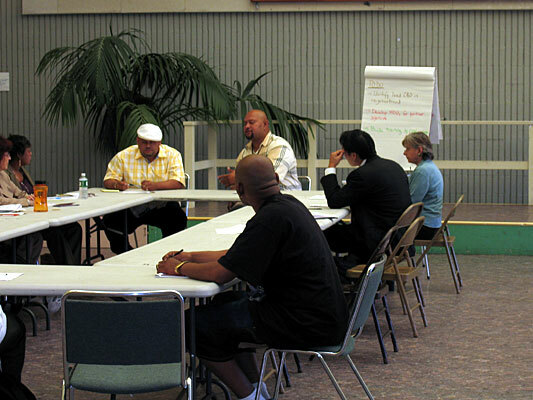 The BVHP Community Response Network demands trained Community Based Organizations (CBOs) that can deal with crime and violence prevention. Not novices that have no clue about crime and violence and less about victims, anger, shock, grieving, and a time when a healing process should take place. These CBOs should have trained personnel that can go to a crime scene and deal with the victim's family and have the ability to heal and defuse tension. This training does not come easy and the few that do it with gusto are getting burnt out. So let us not stop kidding ourselves that such personnel can be found on the Super Market shelves. In the Bayview Hunters Point we have a couple of Case Managers that are worth their salt but I have yet to see one that is proficient when it comes to dealing with Crime and Violence cases. Some one that has a good idea of what is happening in the area and beyond the area linked to crime and violence. Some one that understands Law Enforcement and the gimmicks coming out from the District Attorney's office under Kamala Harris that critically affect our youth and have led to so many youth dying in large numbers during the last two years. It is paradoxical that Kamala Harris appeared at the first Select Committee on Crime and Violence in Room 263 and has not appeared since. Tom Ammiano, Ross Mirkarimi and Sophina Maxwell were the three musketeers that tried to address some of the issues. I religiously attended these meetings and it was pathetic to see these buffoons fail time and time again and more fail to understand the core issue that leads to crime and violence at ground zero. Perhaps Sophina Maxwell was shocked for the first time in her life when Daniel a brave young man told Sophie to first listen to the community and then to the lackey Allen Nance that had come prepared to make a speech at Sophina's behest. This time seeing that her ploy had failed Sophina Maxwell started criticizing Allen Nance the Director of the Mayor's Office of Criminal Justice. All this happened at the Ella Hutch Community Facility in the Fillmore. Some of us have been doing outreach without any payment. Others have been doing street outreach without any remuneration for years. While those volunteers that have been doing outreach have the true knowledge and experience - Kamala Harris and some others close to the Mayor's Office fail to understand that their policies made miles away from ground zero have failed the community when it comes to Quality of Life issues. Mention their names and the folks at ground zero laugh at them and more have no RESPECT for them. I have seen Kamala Harris open her mouth and those wide eyes much as does Nancy Pelosi and lie time and time again. While some white folks may fall for some of cerebral potpourri illogical statements those at ground zero and well versed with the hood can see through the dubious mistress of the former Mayor and the fakeness that does not belie the false hope and the lack of leadership ever since she has been in office. She is an utter failure and being appointed on National Boards does not to us San Franciscans any meaningful justice. Kamala Harris tried recently to hold a conference to address crime and violence and have Cecil Williams lead the orchestra. Cecil Williams is an Uncle Tom and Kamala Harris is from Alameda and should go where she belongs. As District Attorney more thugs make hay while the sun shines in San Francisco then ever before. Kamala has made a conscious decision not to prosecute serious crimes and not to hand out strict jail terms. She has made a conscious effort to confront SF Police Department's policy just to make things difficult. Today, in San Francisco the San Francisco Police Officers Association, the San Francisco Police Officers, many advocates that understand Law Enforcement has little faith in Kamala Harris and her failed policies. Even the San Francisco Police Commission now fully understands the delaying tactics that stem from Kamala Harris's office. Kamala loves blaming Terrance Hallinan but he at least did the right thing and was with and for the people and accessible. Those of us in the know understand for example the witness protection program. Kamala Harris has no clue what so ever about this program. She started her own Witness Protection Program when the SFPD and the Sheriff's Department have their own Witness Programs with an impeccable track record, in place and working for many years. For Kamala Harris to allow some one in her Witness Protection Program to live a couple of miles away from his home which led him to be taken away because he felt he was a victim and a target and then to allow this person to return again and again and taunt his foes - without Kamala Harris knowing or not knowing anything about these facts is a joke. Unfortunately when it comes to life there are no easy ways out and when killers have a target and it is made easier for them by none other then Kamala Harris - the frogs can croak to death and try to sing praise to this inept woman to no avail. I was at City Hall in the Board of Supervisors Room when over $900,000 dollars were shelved and put on reserve because the facts that were before the table indicated that Bayview Hunters Point did not have the ability with known Community Based Organizations to deal with Community Response Network project. The case was made that the Mission and Western Addition had one but when it came to the Bayview Hunters Point it did not exist - may we know why and evaluation was being done to lead to such a drastic evaluation. The situation today demands an emergency because Health and Safety issues peril the community at large and such has been the state of affairs for such a long time. In fact the Crisis Response Network another failed program managed by the San Francisco Health Department does not work and has failed the Bayview Hunters Point area in particular. The Community Partnership Resource Center managed by the UC San Francisco brags that it is doing some good work but falls short. I have NOT known Karen Pierce to be an environmentalist but an Uncle Tom and a sell out. Yet because of her connections with Sophina Maxwell she will make head lines. Inviting white folks and those that have no clue about our community by a power plant and making statements that a power plant pollutes. Is there any old power plant that does not pollute? Folks do not know that Karen Pierce has taken money from Pacific Gas and Electric and loves to have it both ways. As part of Bayview Hunters Point Advocates thousands of dollars given to them by San Francisco Environment was wasted under the direction of Karen Pierce. No one know what this woman does but she will represent Sophina Maxwell touting a policy that is detrimental to the community at large be it on the Power Plant Task Force, the Southern Waterfront Advisory Committee, and the BVHP Democratic Party which has no Board meetings that regularly meet and less members that discuss and fight for issues that affect the Bayview Hunters Point community. The University of California San Francisco with its billions of dollars has failed poor communities and puts on some dog and pony shows and keeps throwing bread crumbs mostly using House Negroes as ploys. Bayview Hunters Point is worse off because of some House Negroes that continue to think that they can take money under the table and try to represent the community when they should not. 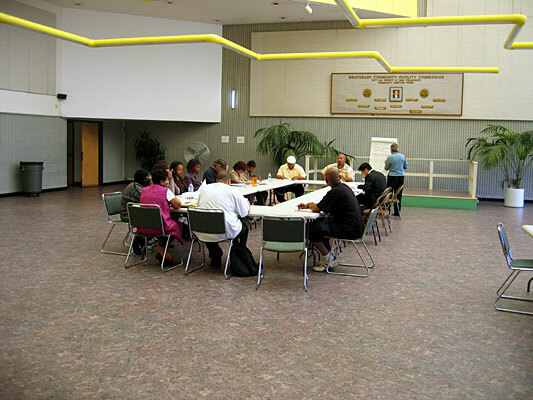 I attended the BVHP Community Response Network (CRN) Meeting with a few individuals mostly CBOs that came to hear what the plan was all about. Right now the sessions will only discuss plans and there is no model or fixed blue print. It was stressed again and again that this was only a talking session and that they would be more for the next six months. John Torres tried to portray the Mission Model which might serve that area with those particular demographics but the situation at Bayview Hunters Point is totally different and demands a concrete plan on a War Footing or Emergency. The symptoms too deep to fathom without through investigation and empirical data linked to the particular crime infested geographical area. 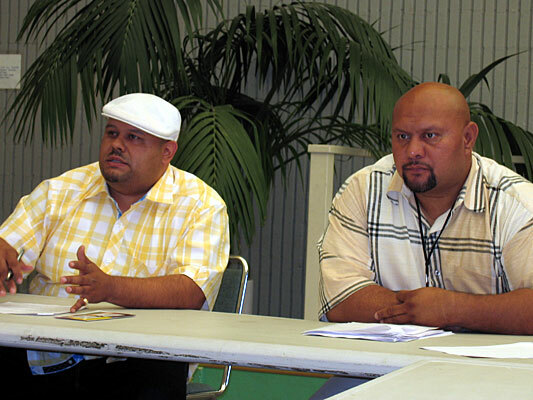 We have Samoans, Asians, others all affected by high crime perpetuated by mostly well entrenched Black Gangs. The Federal Bureau of Investigation has a clear idea and the Department of Justice knows about it. The Public demands a written report and the number of deaths in the last two year. The names of the victims and the role the District Attorney has played and the number of arrests made. One look at the data will reveal the truth. A couple of years ago a couple of meetings were held at my office by officials from the Mayor Office of Criminal Justice. Right off the back the plan from the grant promised the San Francisco Police Department 50% from this seed program to deal with Crime and Violence. Nothing came from this program and the official now works for the Mayor's Office of Economic Development and Workforce. It is critical that the District Attorney's Office offer personnel to the CRN Director to study the issues and create the initial outreach on a sound footing. You cannot send one man trying to find a needle in a hay stack that is too high and too wide. You cannot expect the CBOs to volunteer more then the volunteer for some bread crumbs to deal with issues that take a heavy toll of one's health. Ask some one like Mitch Salazar or Rudy Corpuz and they will tell you the truth. We have idiots pussyfooting around and trying to tell us what is good and what is bad when they have no clue what the situation is at ground zero. We have the highest forms of diversion tactics at all levels trying to fool all the people all the time. They expect a person like Cecil Williams a sellout to know and guide the community. The fact of the matter is Pastors are sellouts and each and every one of them was bought by Willie L. Brown Jr. ­ mostly Black Pastors that shout every Sunday, spend time with mistresses, drive luxury cars, and take huge amount of money from San Francisco Redevelopment Agency. Two of them Calvin Jones and Aurelius Walker lead the list of sellouts. Ask these jack asses what is it that they have done to stop the Crime and Violence and why cannot their Churches be a safe haven for the youth. Ask the District 10 Supervisor what have she done to curb the violence. It is not uncommon to hear some say every day so and so was killed and people expect to hear stuff like that. In the Bayview Hunters Point life means nothing at all the Funeral Parlors are raking in the dollars and there too you will see the Pastors talk the talk but not walk the walk. The Joseph Lee Gym is demolished and this when all the youth are out of school and have their vacation. The Gyms on Kiska Road are not accessible to the youth. The YMCA is too expensive and the youth debarred from going to this institution in our neighborhood which is getting huge grants but not serving the youth from the community. We all know that our youth if given the opportunity to use their time in a gym or safe haven can apply themselves to positive things and make sense of their lives. It is as if by design some forces are putting our youth in harms way so that they kill themselves and get into trouble because they have not positive paths or curricula to follow. Our Mayor talks the talk but cannot walk the walk. Our District Attorney should go to a place where her ploys are accepted. Nancy Pelosi has single handedly destroyed the Democratic Party and has done disservice to the Bayview Hunters Point. There is so much disinformation out there that only those trained in the decimation of such false information and having the concrete empirical data can discern and make sense of the nonsense. Only proper staffing and a through analysis of the situation at hand can make the BVHP Community Response Network (CRN) be effective. We did not want to see the failure of the Crisis Response Network and that is what we see today. We have seen other models with temporary funding and a band aid that is not meant to address an issue in a holistic manner. Of course we cannot expect that from inept and spineless policy makers that have no clue what is at stake in our neighborhoods. John Toress (DCYF) and John Nauer.